As New Year’s Resolutions go (and there's still time! ), we hope you put looking after your eye zone right up there as a beauty priority. And this product makes it a joy. First off, it’s a serum – so it won’t ‘travel’ into the eyes like some rich creams do, triggering puffiness. 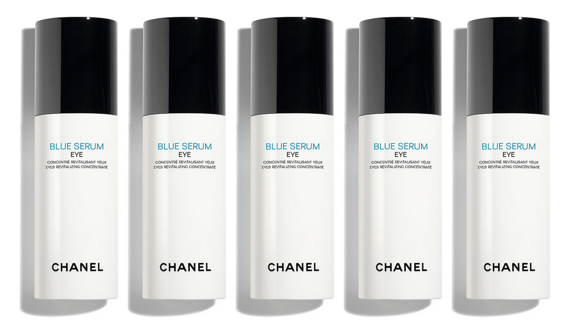 Next up: it contains three powerful botanical actives (in a very high-tech whiz-bang formula, being Chanel). First off, Green Coffee PFA – an antioxidant, but also giving skin a bit of an awakening caffeine jolt, we reckon; its anti-puffiness/anti-dark circle action probably owes a lot to this. Secondly, olive tree oleoactive from Sardinian olives – that’ll be the moisturising/antioxidant benefit. Last up, regenerative lentisque resin extract, from Greece. Put them together and you’ve a product which makes skin look and feel instantly luminous.